A regional workshop on multilingual and multicultural education in Kazakhstan was held in Shymkent from 4 to 8 December 2017. Organized by OSCE High Commissioner on National Minorities (HCNM) in cooperation with the National Center for Professional Development “ORLEU” Kazakhstan, the UNESCO Almaty Cluster Office for Kazakhstan, Kyrgyzstan, Tajikistan and Uzbekistan, and UNICEF in the Kyrgyz Republic, the meeting gathered experts, trainers, school directors, teachers and representatives from the Ministries of Education in Central Asia and international experts from OSCE HCNM, UNESCO, Estonia, Italy, Australia, Russia, Mongolia and Georgia. Multilingual and multicultural education is an important means of promoting quality of education. Studies show that it improves learning outcomes as it promotes dialogue and interaction between learners and teachers. But also, it raises the quality of education by emphasizing understanding and creativity rather than repetitive memorization. However, despite the known benefits of multilingual and multicultural education, the principle of education in the mother tongue is not always respected. Children are often taught in a language that they do not master. UNESCO promotes multilingual and multicultural education in the context of Education for Sustainable Development and Global Citizenship Education from the earliest years of schooling. The regional workshop allowed to discuss the wide range of issues related to promoting multilingual and multicultural education, starting from training and professional development of teachers of multilingual programs, to developing and evaluating the competencies for achieving Education for Sustainable Development and Global Citizenship Education, both of which are part of Sustainable Development Goal Nr 4. On the margins of the discussions, the participants had the opportunity to visit schools and kindergartens piloting the multilingual education programs in Shymkent and to familiarize themselves with the Kazakh system on the implementation of multilingual programs in schools/kindergartens. As a result of the workshop, participants drafted regulatory and methodological materials to support the implementation of multilingual programs at various levels of formal education system. Also, they agreed on the priorities and mechanisms for further cooperation among the members of the regional network of schools, universities and teacher training centers. 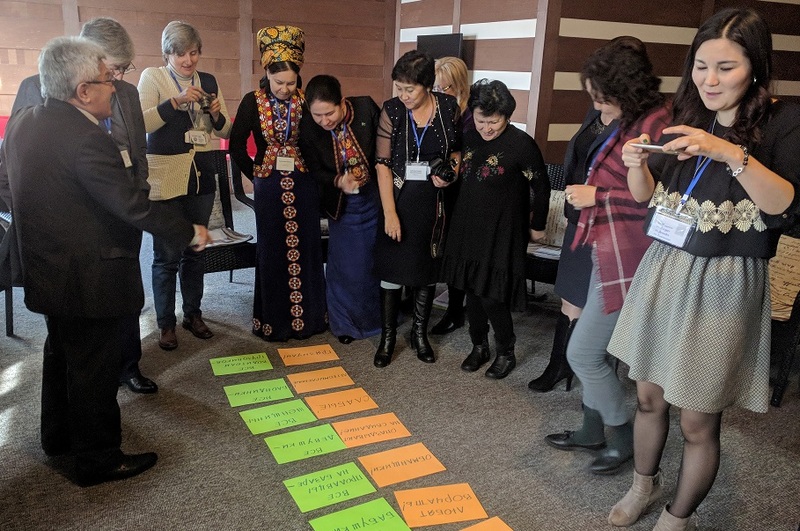 This regional network will facilitate the changing of best practices on promoting multilingual and multicultural education and, through this, to the improved quality of education in countries in Central Asia.